DJ SWAYBACK has been fertilizing dance floors since 2008, with earnest enthusiasm and a commitment to the funky stuff. A disc herniation abruptly forced Swayback off the dance floor and behind the decks where she found confidence and exhilaration in the ongoing pursuit to keep people grooving. She has provided jams in various settings around Halifax – including the Khyber ICA, the Seahorse, the Company House, Menz Bar, Gus’ Pub, Eyelevel Gallery, the Bus Stop Theatre, Centennial Pool, the Shambhala Center, the Good Food Emporium, the North Street Church, the Italian Cultural Center, NSCAD, the Commons, freeze dance games at Beech Street Preschool and an array of block parties and late-night house dance-offs around the North End. She approaches DJing with the heart of an incessant dancer; the first one on the dancefloor and the last to go home. SWAYBACK has been encouraged and supported by THE LADIES’ BEVERAGE ROOM, an all-female DJ collective & party-making-machine in Halifax, Nova Scotia. 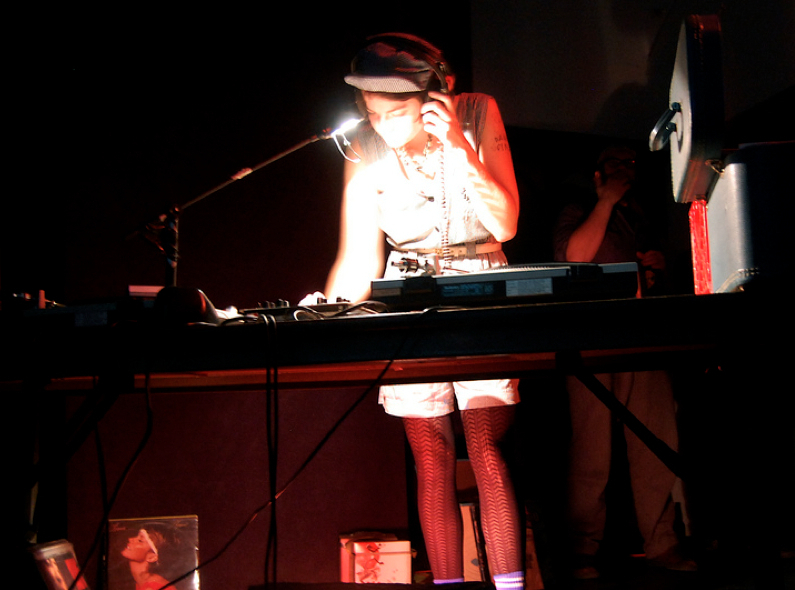 She has been strongly inspired by the boldness of THE RHYTHM METHOD, the prolific nature of DJ BFF and the Montreal-based goldmine that is WEFUNK. Listen up for her online contributions at STRONG FEMALE VOCALS and keep your ear to the ground for details on the next edition of BODY WORK. CONTACT /// katie514 [@] gmail.com for booking & inquiries.